The MUST project was disseminated on November 6, 2015 at the regional conference “Mathematics in the third millennium” in Craiova, Romania. 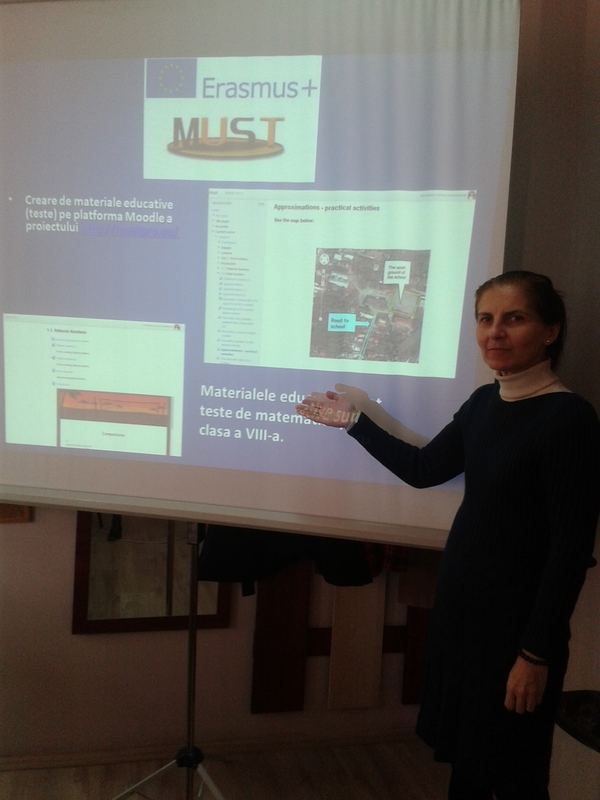 On November 21, 2015 started the MUST course at Secondary School “Ion Tuculescu”, Craiova, Romania. 20 teachers were enrolled on the course.Teachers worked on the MUST Moodle platform and get acquainted with the project educational resources . This entry was posted in erasmus+ ka2 on 27 November, 2015 by cabernat. This entry was posted in erasmus+ ka2 on 16 November, 2015 by cabernat.